It is hard to leave a a 3-day weekend and head back to the office. This morning I needed an immediate pick-me-up! 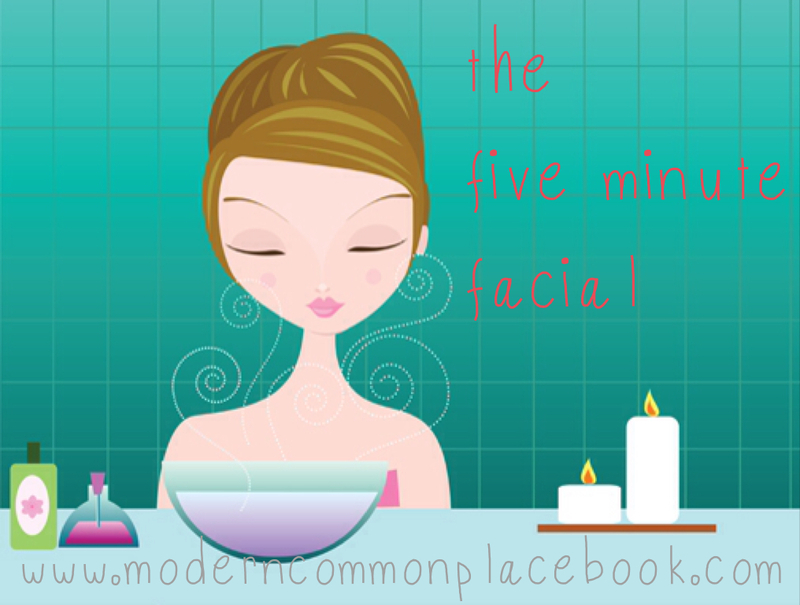 I only had a few extra minutes, so I relied on my favorite skincare treatment: the Five Minute Facial. This is my favorite weekly splurge – either on a lazy weekday night before bed – or on a groggy Tuesday morning. Enjoy! I love a facial scrub. LOVE. I shared my favorite scrub recipe here, but because I didn’t have some on hand this morning, I relied on my favorite Pore-Eraser Scrub. Really, it is more of Favorite Face Buffer. Or Crunchy Face Polish. Name it whatever you want! In imitation of a true spa experience, I love a quick HOT face steam. I just use a washcloth and super hot water to steam my face briefly. I love forcing myself to pause for a few seconds in the middle of a fast morning. If I have a few extra seconds, I add a drop of lemon essential oil. Splurge! After my face is clean, I immediately cover my face in a soothing face mask. I confess that I have tried homemade masks in the past, but prefer the ones in the pretty packages :). Here is a list of easy DIY face masks. 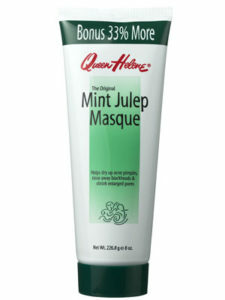 My favorite masks are the CHEAP Mint Julep Facial Masque (that soothes acne skin like no other!) and the pricey but AMAZING Origins Clear Improvement(TM) Active Charcoal Mask . Either way, it is EASY to apply a mask. I apply a mask thinly so it only requires a minute or two to dry. I keep this on while I get my cup of coffee (about two minutes) and then rinse and buff my face a little with a terry washcloth. When I apply a mask about once a week, I can tell a noticeable difference in my skin texture! Moisturizer is not my strong suit. I really just don’t get that excited over it. But we all know how important it is! I have a favorite moisturizer, and haven’t tried many others. 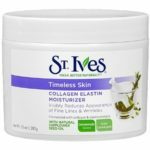 My husband believes in St. Ives Timeless Skin Collagen Elastin Moisturizer, and I really do to. It gives an immediate sense of health – my skin feels tight and fresh as soon as I put it on. It is cheap (under $5) – and a jar of it lasts FOREVER. And, if you like reviews, Amazon has over 500 super positive reviews. For a DIY moisturizer, I sometimes love to spread a tiny bit of coconut oil around my eyes. I don’t love it on the majority of my face, but it gives lasting benefits to my eyes and immediately soaks into my skin! I confess, after this five-minute treatment, my day is much better! « What is Memorial Day?